I'm too lazy so I put it in a topknot! I feel so bad for my husband that he wakes up to that! I can only advise you to continue spelling advice the way you do. 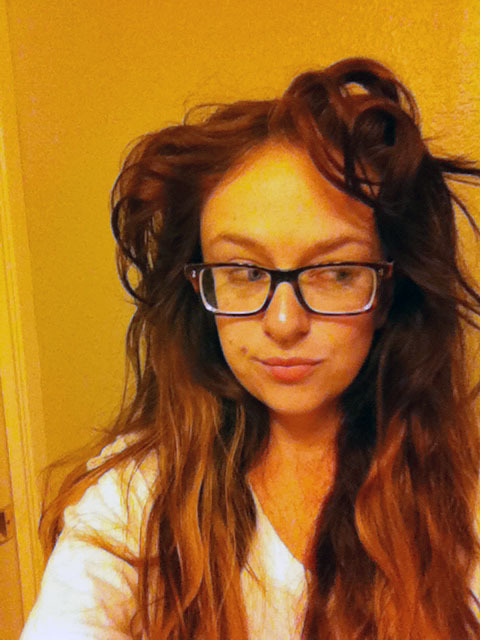 As for the hair, mine looks like that every morning and I never go to bed with wet hair. We're just awesome like that!